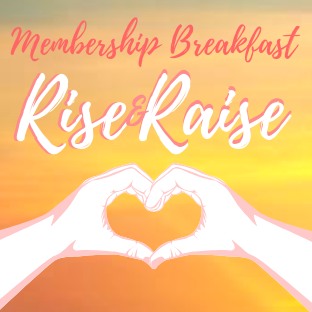 Net proceeds will go to Amazing Raise Distribution Pool 2019! Business Card Drawing: Will You Win With the Reading Fightin Phils? In early winter of 2017, the TriCounty Community Network (TCN) set forward a goal of helping local nonprofit organizations increase their fundraising and organizational awareness through a regional one day giving campaign. The result was a movement the organization named The Amazing Raise. The idea was to provide local nonprofit organizations with the opportunity to raise funds, both online and in person, with the promise of a proportional funding match based on the amount raised. “We not only wanted to support our community nonprofit organizations in their fundraising efforts, but we also wanted to promote a spirit of philanthropy in our region,” said Holly Parker, Executive Director of TCN. “Through the Amazing Raise we generated a level of excitement and fostered a movement that will have lasting impacts on the organizations providing services in our community.” The fundraising goal for the Amazing Raise was $50,000. In October 2017 the Greater Pottstown Community generosity shined, smashing the original goal by raising over $100,000 for nonprofit organizations providing services in our region. The 2018 event raised more than $335,000 for our community! The movement and momentum continue for 2019! October 15th is our 2019 Amazing Raise Day. Beginning September 1st and leading up to October 15th, local nonprofit organizations will raise funds to be proportionally matched by the Amazing Raise. Get Involved Through a Workplace Giving Campaign: You can raise funds at your business to support the Amazing Raise Distribution Pool. A workplace campaign for the Amazing Raise does more than raise funds for local nonprofit organizations, it also connects the employee to their community! Contact us at info@tcnetwork.org or 610-850-0181 ext “0” to learn how! Sponsor the Movement! : Corporate sponsorships are available. Visit: https://tcnetwork.org /the-amazing-raise/ for more details!